Have you ever passed by Wilson Street in San Juan, during a weekend night? How about a Sunday night? Ever wondered why it gets really traffic there, well we found the culprit. And it looks absolutely delectable. Home to one of the best tasting Chinese dishes in the Philippines, Hai Kang Seafood Restaurant has made a name through the years as a dining destination like no other. 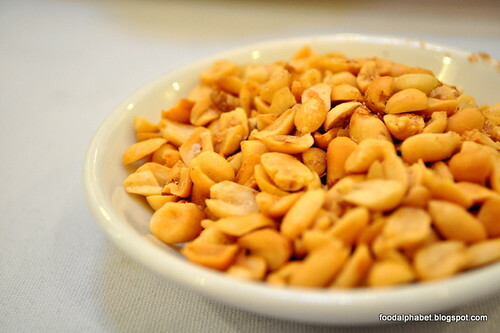 Chatting our way while we wait for our dishes to be served, it has been common practice through the years that peanuts are served at tables at most Chinese restaurants, and Hai Kang is no exception, and we're not complaining about our uric acid levels, these peanuts are just so good. I am a fan of cold cuts, but I love hot cuts so much better, why because they pack more flavor and well, tastier of course. 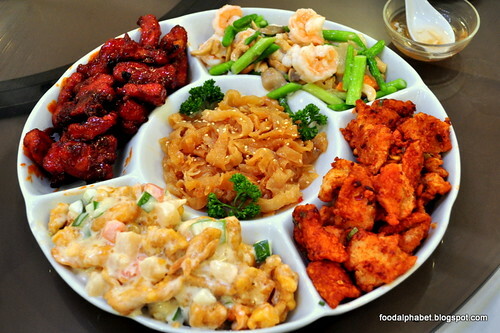 With a combination of 4 kinds of hot cuts, you can have your fill with choices such as Hot Chicken Salad, Spicy Squid, Prawns sauteed with vegetables, Sweet King Dao spareribs and Jellyfish on the center to complement the different flavors, and this is just the appetizer, just see what we have lined up. 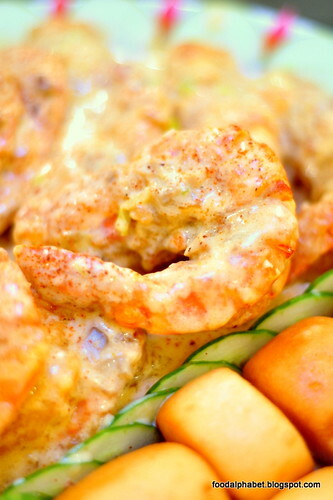 If I have only one order to make in Hai Kang, it will definitely be Laksa Prawns. Laksa, a staple in many Singaporean dishes has made its way to our hearts. A Hai Kang specialty dish, I totally fell in love when I took first bite, dipped in more laksa sauce and fell in love all over again. 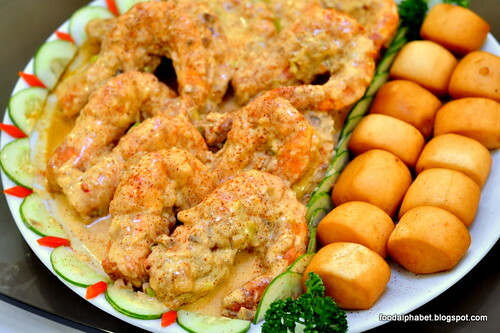 Paired with fried mantou, dip it in laksa as well fulfills every craving your taste buds yearn. A closer look at what I fell in love with. 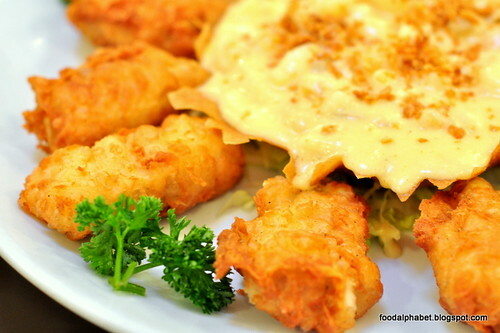 Made from scratch unlike others who just buy their rolls and fry them up, Hai Kang uses Beancurd skin, and wraps in ground meat to taste, then complements it with a creamy country-style sauce. Not your typical Chinese soup, Hai Kang made their soup extra creamy, kinda the Chinese version of bouillabaisse, but tastier. 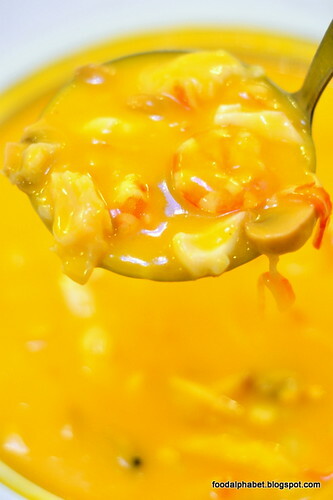 Infused with lots of seafood, made the soup all the much sweeter with every sip. 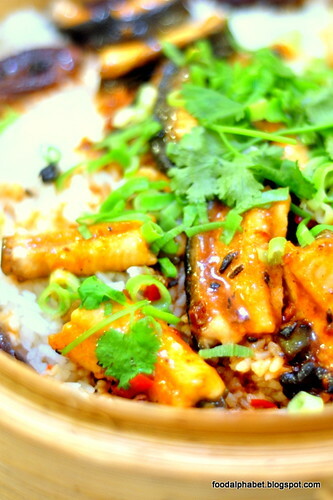 Now here is one of Hai Kang's original creations, other than ordering the usual fish delicacy why not try out their Steamed Eel with Lotus Leaves Rice. Kinda reminds me of my Eel delicious days at East Ocean Seafood Restaurant in Greenhills Shopping Center, which by the way, one of the owners of East Ocean opened the doors of Hai Kang. Well you must be thinking, hmm what does eel taste like? Well it's kinda like chicken but more tender, have a taste you'll never regret it. 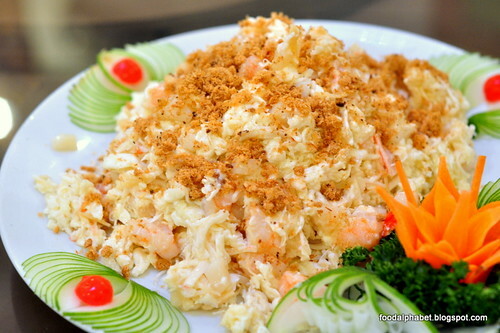 Stir fried egg whites with prawns, crabsticks and pork floss. This is the first time I encountered a dish like this, and since I am not really a fan of eggs, I took a taste but wifey got a bunch, and well she loved it. 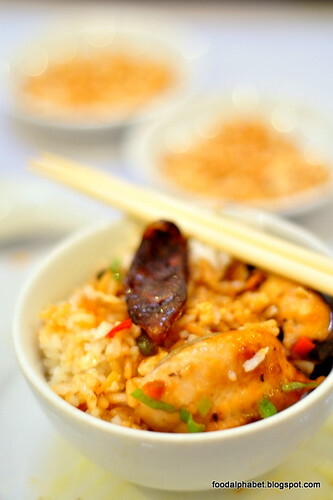 A specialty dish of Hai Kang as well. 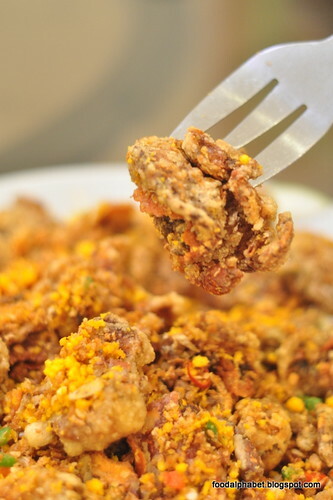 As we were getting kinda full already, along came our next dish, Fried Soft Shell crab in salt and pepper. Deep fried to a crisp, made the soft shell crab all the more delicious, unlike the usual crabs we bite on, these babies were so soft and when you take a bite, just sip on the meat and everything just comes off. 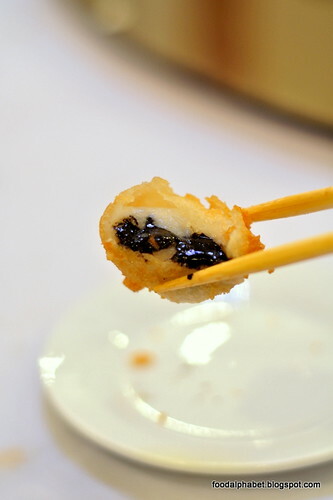 Each piece of crab meat just tastes wonderfully good. To cap things off, as if we aren't full yet, their signature Udon seafood noodles with Sate sauce. Don't ever pass up on this, you'll get to regret it later. 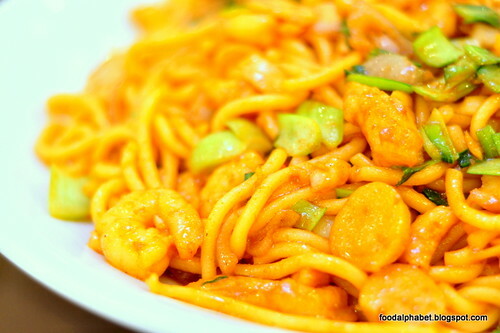 Tasty, saucy with lots of seafood, how can this noodle dish not taste so good. 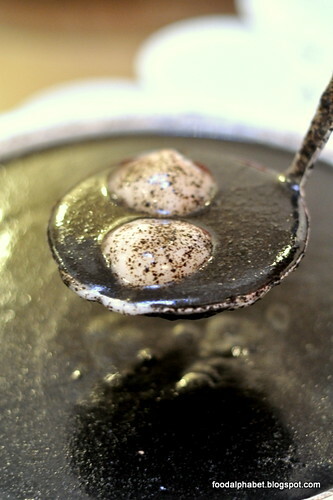 For dessert, do try their Hot Black Sesame Dumpling Soup and Fried Masachi balls, which also wraps inside black sesame paste. Rather than having a fruit platter, I suggest you give these desserts a try, well you can always have fruits at home, but you can only taste these exceptionally good creations here in Hai Kang. 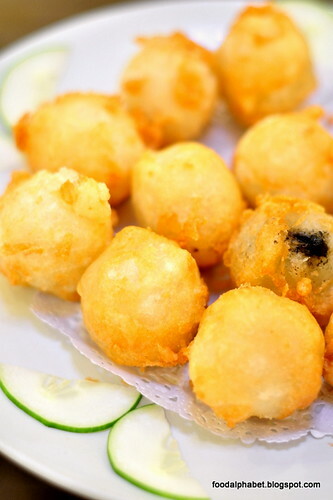 Enjoy great tasting and authentic Chinese cooking at Hai Kang Seafood Restaurant in Wilson, Greenhills. And discover why they always carry a sign outside their restaurant with "FULL HOUSE" And cars are parked along Wilson all the way to Cardinal Santos Hospital. If there is Crystal Jade in Singapore and Lugang Cafe in Taiwan, here in the Philippines we have Hai Kang Seafood Restaurant.